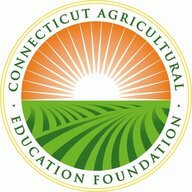 Connecticut Farm Bureau Association in partnership with the Connecticut Agricultural Education Foundation received an Agricultural Viability Grant from the Connecticut Department of Agriculture to provide education and outreach for agricultural emergency preparedness. The focus of the grant is to help the Connecticut agricultural system operate during times of natural disasters and infrastructure crisis. The purpose of this survey is to develop a statewide database of shared resources that may be utilized to help Connecticut farmers during times of emergency, particularly natural disasters. This resource typing may then be made available to state as well as municipal and regional emergency management directors to aid Connecticut farmers effectively on the local and regional level. If you are willing to volunteer to share farm resources you own to help other farmers in times of emergency, please take a few minutes to complete this survey. * 2. I have the following type(s) of equipment I would be willing to make available to assist other farmers in the event of a natural disaster. (Please briefly describe size and/or type of equipment in the text boxes provided).